Well, we’ve gone and done it. We signed up for the Rickshaw Run! The Rickshaw Run is a charity rally where teams drive a Motorized Rickshaw (aka “Tuk Tuk”) the entire length of India, from Bangalore in the South to Jaisalmer in the Northwest. The catch is that the Rickshaw is just about the worst vehicle ever invented. These vehicles boast a puny 7 horsepower engine, 3 tiny tires, flimsy design, and are prone to flipping, leaks, and all sorts of break downs. 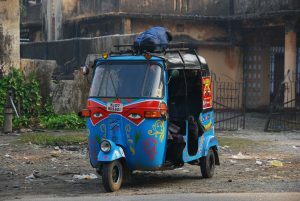 Suffice to say, rickshaws are meant for transporting people around town at low speed — not driving across a subcontinent. The event is put on by a group of crazy Brits called The League of Adventurists, but the Rickshaw Run is entirely unsupported — teams receive no help or guidance from the organizers, and can take any route, and as much or as little time as they choose. But it is also for a good cause, as every team is required to raise money for charity. Rickshaw Run teams raise tens of thousands of dollars for a variety of charities, trying to make the world a better place – one stupid adventure at a time. Our Rickshaw Run team is called The Rubber Duckies, and we are raising money for SOS Children’s Villages. This charity provides loving homes for children in countries all over the world, including the USA and India. 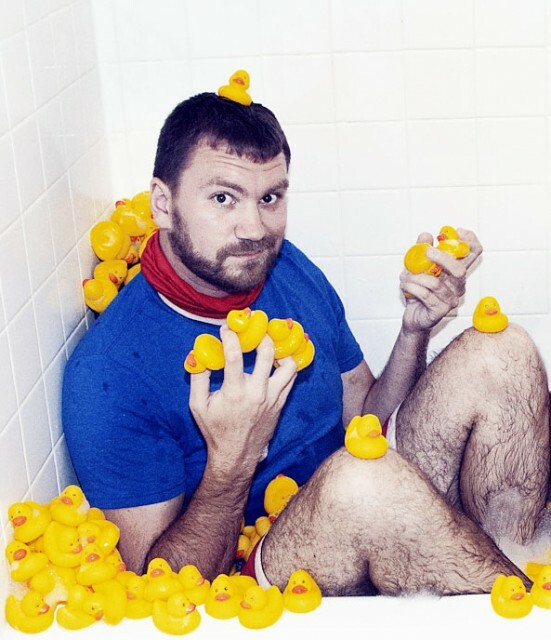 The Rubber Duckies is made up of two friends: Pete Berg and Lucien Delabruere. Pete and Lucien met at Ithaca College, where they both studied Television & Radio. They’ve since gone on to become Television Producers (both producing documentary and unscripted content), as well as avid travelers. When Pete decided on a whim to sign up for the Rickshaw Run, it wasn’t too hard to convince Lucien to come along for the adventure. 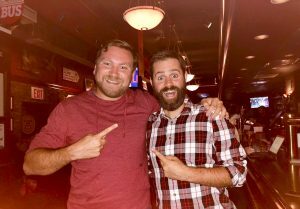 Despite living on opposite coasts (New York and L.A.), Lucien and Pete have kept in touch over the years, forever linked by their mutual love of backpacking, beer and Billy Joel. Why rubber duckies? Well, rubber duckies are cool. Also, it’s also an ode to The Mongol Rally 2011 and the The Mototaxi Junket 2014, past Adventurists events where Pete’s rubber ducky themed teams also raised money for SOS Children’s Villages. We will bring a whole bunch of rubber duckies with us, and anyone who donates to our charity gets to name a ducky. We’ll give your ducky out to a kid or friend we meet along the way in India. Plus, it’s helping raise money for a good cause! Pete was raised in Upstate New York by a family who makes primitive spearthrowing weapons for a living, and grew up with a taste for adventure. In 2011, he completed the The Mongol Rally, and in 2014 he did The Mototaxi Junket two other equally stupid adventures put on by the Adventurists. Pete has been to over 40 countries, and done things like trek through the Himalayas, visit Mt. Everest, ride a moped the length of Taiwan, and attend the Beijing Olympics. He’s also visited all 50 states, in one year (2013-2014), and lived in Australia on a working Holiday Visa in 2016. But that doesn’t mean he’s at all qualified to drive a rickshaw from one end of India to the other…not even in the slightest. He’s probably not even qualified to drive to the local supermarket. When Pete’s not traveling, he works on location as a Television Producer on various Reality TV shows – most recently on “Moonshiners” – a series about making illegal liquor in the woods. He also owns his own event planning business called Reality Rush. Pete is based in Los Angeles, CA. Lucien grew up in the Northeast Kingdom of Vermont and went on to study Television & Radio at Ithaca College after graduating high school. 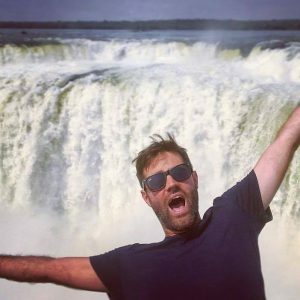 Lucien has always strived to combine his passion for travel with his career as a Freelance TV Producer. Since moving to New York City in 2011, he has worked on shows that have allowed him to travel across the United States and film in more than 20 countries over 5 continents! You may have seen his work on Returning the Favor (Facebook Watch), The Real Housewives of New Jersey (Bravo), Rev Runs Around the World (Travel) and Anthony Bourdain: Parts Unknown (CNN) where he had the lucky opportunity to visit Vietnam with former President Barack Obama. Lucien couldn’t be any more excited to join Pete as they drive a rickshaw across India hoping to not break down or get lost. It’s his first voyage sponsored by the Adventurists and his first trip to India. Day 3: Kumta to Palolem Beach (100km) / Ducky Day! We’re Off! THE RICKSHAW RUN BEGINS! Our team is raising money for SOS Children's Villages. For every donation of $25, we will give a rubber ducky to a kid in India. Donate today! Copyright © The Rubber Duckies, 2019.